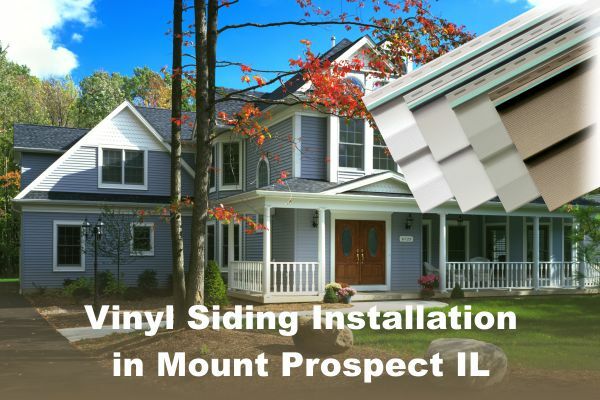 Considering Beautiful Vinyl Siding Installation in Mount Prospect? We will never share your information with anyone. Complete the form below or give us a call NOW for a free, non obligatory quote on installation of a new, beautiful wall finish on your Mount Prospect house. Does your house vinyl siding in Mount Prospect require replacement? Are there any damaged areas that affect energy efficient performance of your house walls? Let us perform a free, non-obligatory evaluation of your existing wall finish condition and present all available options which can significantly improve energy efficiency and curb-appeal of your property. EDMAR Contractors Inc. has been performing vinyl siding installation in Mount Prospect for decades. If you are looking for a Mount Prospect IL siding contractor to replace your existing or perform completely new siding installation on your home, give us a call NOW. We’ve been always dedicating our efforts to provide each and every homeowner with the highest quality service on all vinyl siding installations in Mount Prospect, no matter how big or small that job can be. Take some time to check what others are saying about our services: EDMAR Contractors reviews, and explore other types of siding installations we offer in Mount Prospect IL.